Every year, Rhodes & Williams chooses a great Aviva community project to support. We have supported two previous winning projects: Kaiden Care Kits and Asphalt to Oasis – the Greening of the St. Anthony yard. Both projects won in their second year and were supported by the entire staff here at Rhodes & Williams. The Marsha Morton Memorial Golf Tournament has raised an average of $16,500 over the last three years for the battle against Cystic Fibrosis (CF). Marsha Morton died at the age of 12 from CF, the most common fatal genetic disease that affects Canadian children and young adults for which there is no cure. We have been tournament partners since the inaugural tournament ─ providing many staff volunteers to help out throughout the years. On average, two children are born in Canada every week with Cystic Fibrosis (CF). One person dies from Cystic Fibrosis in Canada each week. Providing support and information to all Canadian families of newborns diagnosed with CF is our goal. “Kaiden’s Care Kits” provide much needed medical supplies, support and information to Canadian families of newborns diagnosed with CF. The project’s ultimate goal is to have a Care Kit for every child in Canada born with CF. Rhodes & Williams is a supporter of the ‘Awesome Auction’ which brings money annually to The Boys & Girls Club. Raising the Roof is a leading charity providing help to homeless people in Canada. They have contributed close to $3.3 million to help homeless in 70 communities across the nation. We’re happy to make a generous donation to this cause and have also decided to donate the toques we purchase back to the homeless community. Lana Sentsova and Michel Beauregard of Rhodes & Williams have done a great job running the ‘New to You’ boutique here at our Ottawa office. Employees dig through their closets and bring in clothing for exchange, with the remainder being donated to a local women’s drop-in. 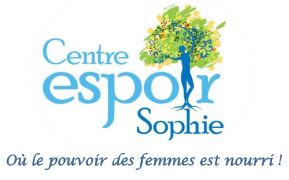 Our drop-in of choice is Centre Espoir Sophie which provides a safe environment for women in need. Starting in 2015, Rhodes staff members have participated in the annual Relay for Life, raising funds and awareness for The Canadian Cancer Society. We average 10 team members per event and have raised over $9,000 in the past two years alone. It’s a long but rewarding night of giving back to our community. The summer of 2017 was our first involvement with the Strokes for Stroke Golf Tournament. Two of our employees, one of them a recent stroke survivor, volunteered at the event which raised funds and awareness for Ottawa’s Brain and Mind Research Institute and the Stroke Research Consortium. They enjoyed the day working the welcome desk where they handed out swag bags to each participant and explained how to get their day started. A fun time! Staff always love being able to dress down their wardrobe and this is an opportunity to do so. For several years now, staff pay for the ability to wear jeans to work. All funds raised go to CURE, a national fundraiser for breast cancer. 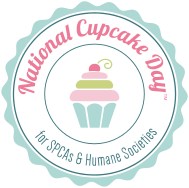 Each year on National Cupcake Day, one of our employees bakes up a storm and brings a variety of delicious cupcakes to the office. These are sold to friends and co-workers to raise funds for the Community Veterinary Outreach Program. This program provides free preventative veterinary services to the homeless in Ottawa. Each fall, staff are provided with a box that they fill for a young boy or girl following a list of suggested items. 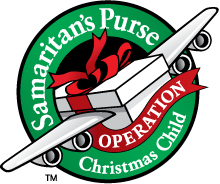 One of our Sales Reps organizes the collection of boxes for Operation Christmas Child. These boxes are then shipped overseas to children who are in need. Our office sends out 40 – 50 boxes annually. What a fun way to get the holiday season started! 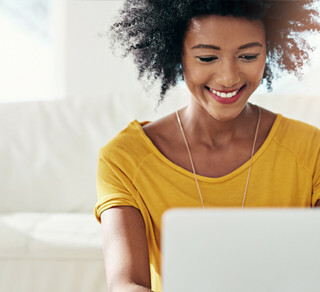 Rhodes & Williams sponsors the annual Help Kids Grow Up (HKGU) Charity Golf Tournament which supports initiatives that help children in need within the Ottawa region and in the sub-Saharan region of Africa. The tournament provides funds to two charities: Variety of Ottawa and the Canadian Foundation for Children with Aids (CFCA).